When he was 18 (in 2002), Noah had a starring role on the South African soap opera Isidingo. He then began hosting his own radio show Noah's Ark on Gauteng's leading youth radio station, YFM. Noah dropped his radio show and acting to focus on comedy, and has performed with South African comedians such as David Kau, Kagiso Lediga, Riaad Moosa, Darren Simpson, Marc Lottering, Barry Hilton and Nik Rabinowitz, international comedians such as Paul Rodriguez, Carl Barron, Dan Ilic and Paul Zerdin, and as the opening act for Gabriel Iglesias in November 2007 and Canadian comedian Russell Peters on his South African tour. Noah went on to host an educational program, Run The Adventure (2004–06) on SABC 2. In 2007, he hosted The Real Goboza, a gossip show on SABC 1, and Siyadlala, a sports show also on the SABC. In 2008, Noah co-hosted, alongside Pabi Moloi, The Amazing Date (a dating game-show) and was a Strictly Come Dancing contestant in season 4. In 2009, he hosted the 3rd Annual South Africa Film and Television Awards (SAFTAs) and co-hosted alongside Eugene Khoza on The Axe Sweet Life, a reality competition series. In 2010, Noah hosted the 16th annual South African Music Awards and also hosted Tonight with Trevor Noah on MNet (in season 2, it moved to DStv's Mzansi Magic Channel). In 2010, Noah also became a spokesperson and consumer protection agent for Cell C, South Africa's third largest cellular provider. Noah has performed all over South Africa in The Blacks Only Comedy Show, the Heavyweight Comedy Jam, the Vodacom Campus Comedy Tour, the Cape Town International Comedy Festival, the Jozi Comedy Festival and Bafunny Bafunny (2010). His stand-up comedy specials in South Africa include The Daywalker (2009), Crazy Normal (2011), That's Racist (2012), and It's My Culture (2013). In 2011, he moved to the United States. On 6 January 2012, Noah became the first South African stand-up comedian to appear on The Tonight Show; and, on 17 May 2013, he became the first to appear on Late Show with David Letterman. Noah was the subject of the 2012 documentary You Laugh But It's True. 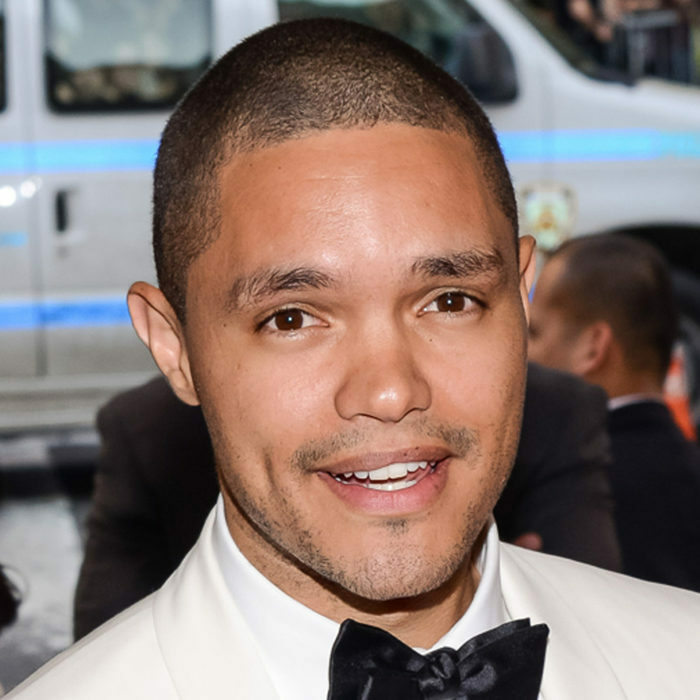 The same year, he starred in the one-man comedy show Trevor Noah: The Racist, which was based on his similarly titled South African special That's Racist. On 12 September, Noah was the Roastmaster in a Comedy Central Roast of South African Afrikaans singer Steve Hofmeyr. In 2013, he performed the comedy special Trevor Noah: African American. On 11 October 2013, he was a guest on BBC Two's comedy panel show QI. On 29 November 2013, he was a panelist on Channel 4 game show 8 Out of 10 Cats and appeared on Sean Lock's team in 8 Out of 10 Cats Does Countdown on 12 September 2014.